Supplement 2Plus works by decreasing insulin resistance, it thus ensures that once starch is ingested the insulin levels remain constant, instead of increasing. This ensures that your body does not store the ingested carbohydrate as fat. The ingredients of Supplement 2Pus work synergistically with its muscle toners allowing Supplement 2Plus to work in other ways. Firstly it now has an effect on the satiety centre of the hypothalamus. This is the part of the brain that says, “You’ve had enough, stop eating”. 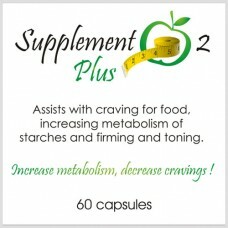 Supplement 2Plus actually stimulates sensors in the hypothalamus which leads to a decreased food intake. 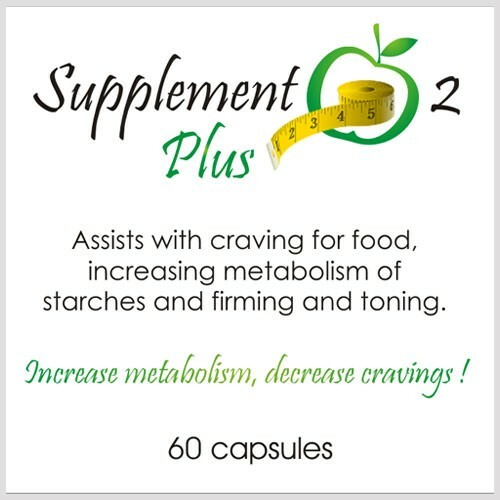 Secondly, Supplement 2Plus is now able to enhance the thermogenic effects of carbohydrate foods. Thermogenesis is the body’s “wasting” of food energy. In other words it allows your body to waste the energy of ingested food without doing work. This ensures that ingested carbohydrates are not stored as fat. In fact, the theromgenic process is so heightened that if you ingest 4 slices of bread, it is as if you only ingested one. This is no excuse to binge, it simply gives you a bit of a safety net in case of the occasional “slip-up”. It carries fat from the fat cell to the muscle where the fat is burned. At this dosage Supplement 2Plus also assists with the management of fatigue, muscle weakness and elevated blood lipids. Because Supplement 2Plus assists in the rapid metabolism of fat, an accumulation of ketones could occur. Ketones are the waste products of fat metabolism. However, extensive clinical studies have shown that 2Plus itself actually controls the negative effects of ketosis. So not only does supplement 2Plus increase fat burning but it also ensures that this occurs without negative side effects. The higher the levels of supplement 2Plus in the muscle the more body fat is transported and burned. Supplement 2Plus also contains ingredients which work by preventing the breakdown of serotonin in the brain. a) By the action of Mono amine oxidase (an enzyme in the brain which breaks down serotonin). b) By the re-uptake of serotonin into the neurons of the brain. Supplement 2Plus assists in elevating brain serotonin in two ways: it assists with inhibiting the breakdown of serotonin by mono amine oxidase and it assists with preventing serotonin in the brain from being absorbed by the neurons. In addition to this, very recent studies in Germany suggest that at this concentration, Supplement 2Plus also inhibits the re-uptake of Nor Adrenaline. An increased Nor Adrenaline level would cause an increase in the body’s Basal Metabolic Rate – this means that the body’s ability to burn fat, even at rest, is increased.